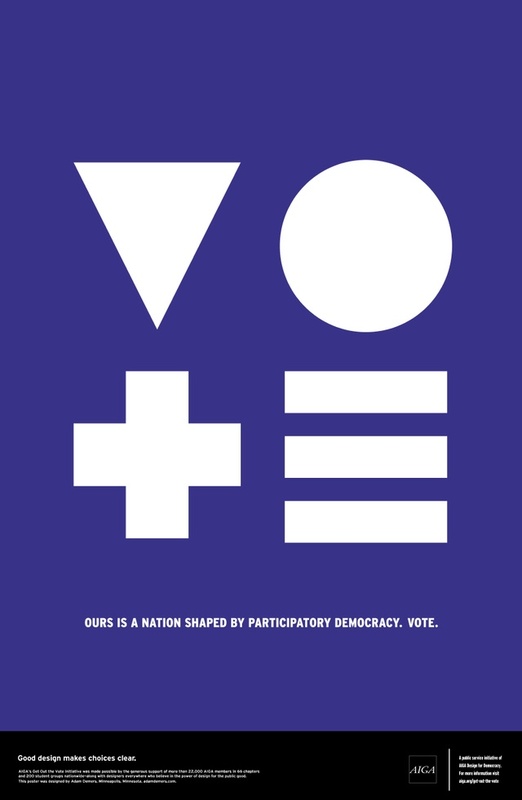 AIGA’s (American Institute of Graphic Arts) Get Out the Vote project invites designers to create nonpartisan posters and videos that inspire the American public to participate in the electoral process and vote in the 2012 general election. 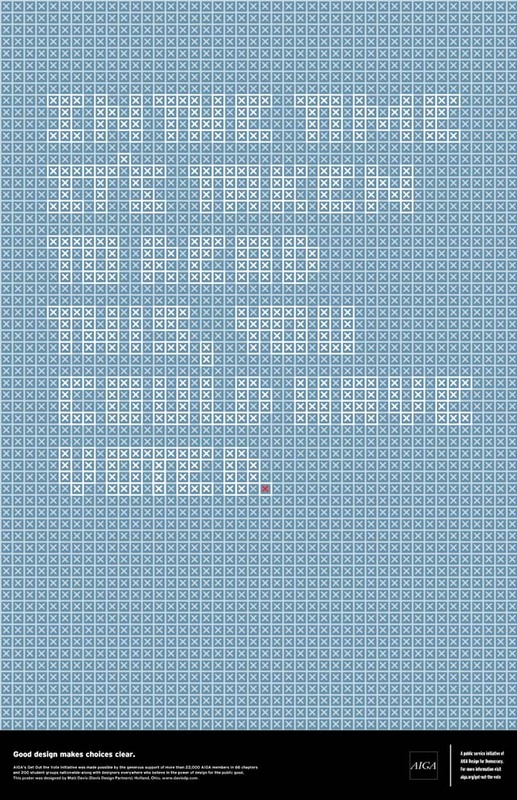 AIGA is hosting an exhibition in New York City from October 3–November 30, 2012 featuring the 2012 Get Out the Vote project, at the AIGA National Design Center. But have no fear, if you can’t make the show you can see the complete virtual gallery here. This entry was posted in Event, Graphic Design, NYC, Stuff We Like, Typography. Bookmark the permalink.